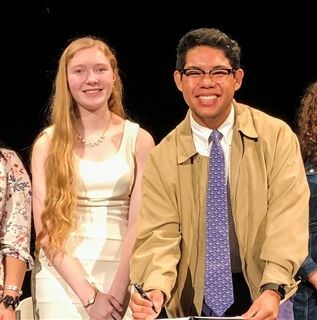 Two O’Neal Upper School students were recently elected to its Honor Council. An induction ceremony was held before their peers on Thursday, October 4th. 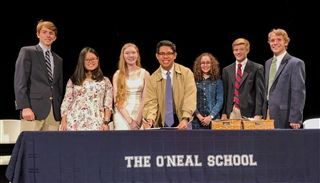 Senior Andrew Phan and junior Sarah Massey were elected by their faculty and peers as permanent members joining current seniors Bennett Moore, Jenna Burns, Bryce Samples, Mary Guo and Peter Seifert. The Honor Council is student-administered and guided by an advisor. It seeks to uphold the School’s mission statement and philosophies by promoting these characteristics while also dealing with those activities that are contrary to the School’s Honor Code. The ceremony culminated after all of the Upper School students went onstage to submit their signed pledge card affirming their understanding and adherence to the Honor Code.